Herbalife Business Opportunity Review – Is This One to Sign up To? Various companies allow others to sign up with their company, selling products on commission. This system is known as direct selling, and it is a tried and tested method that is hugely popular. One company that offers this type of selling is Herbalife, but is this one that you should decide to sign up to? Heralife is one of the world’s best-known direct selling companies. Their focus is specifically on weight management, nutrition and personal care. They were first founded in 1980, and they are one of the best-established and oldest companies of its kind. The founder, Mark Hughes, is very well-known in the world of direct selling. Herbalife is the most popular of his companies, employing over 5,000 people directly, as well as having 3.2 million IDs (Independent Distributors). The company is operational in 88 different countries, having a true global reach. Herbalife prides itself on the quality of their products, which are developed at their very own R&D center. They make sure that new products get added to the range in regular intervals, and that each of these products has gone through extensive testing. Additionally, all products are government-approved, which means they can be sold – and bought – with confidence. 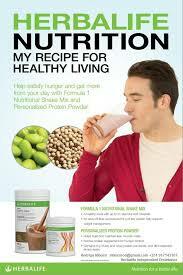 Weight management, such as shakes, supplements and snacks. Targeted nutrition, which includes supplements and multi-vitamins. Energy and fitness products, offering nutrition for athletes. Personal care, in particular hair and facial care. 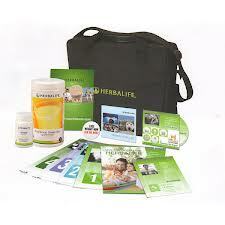 Becoming an ID with Herbalife means that you will have the opportunity to sell their products and ear commissions. As soon as you sign up, you will be enrolled in their compensation package. Additionally, you will be fully trained on the business model and the products themselves. The Herbalife network is one of the world’ biggest. Indeed, some of the members right the way at the top are reporting annual six figure incomes. This doesn’t mean that anybody and everybody is able to do this, as it does require a huge amount of hard work and dedication, but the opportunity is certainly there. In order to earn money, you do have to make direct sales, as well as creating a network of representatives under you. As such, you need to look for your own customers, but also for people who want to join your team. When they do, they will require extensive mentoring as well. As such, the only way to really grow a good income is to be incredibly consistent in your approach. Immediate retail profit, which starts at 25%, but can grow to 50% as you climb the ranks. Daily wholesale profit, which you earn through the distributors within your own teams. Monthly royalty override income, which equates to 5% of everything that your distributors sell. There is a limit on this, which is three levels of downline. Monthly production bonuses, which you can gain if you are a Top Achievers Business member. This bonus is between 2% and 7%. Reaching this level is hard work, and you will really be classed as an elite member. Annual bonuses, which you receive depending on your performance. Additionally, you can also earn attendance at training events, as well as earning vacations. Clearly, it is about climbing the ranks, because the higher you get, the higher the discount you receive and the greater the rewards. It is a very well-known company with a global reach on their highly popular products. Indeed, they are represented in 88 different countries. Becoming an Independent Distributor is very easy, and the earning potential starts straight away. There are various ways of earning money, including direct income and passive or residual income. You earn directly by selling products yourself, as well as gaining the residual income through the building of a team. All products are developed by the company’s own Research and Development department, and new products are added to the line very regularly. Herbalife essentially uses multi-level marketing, which has received a very bad name in recent years. As a result, it can be very difficult to build a team under you, as people are weary of getting started. However, if you fully understand the model and compensation plan, it is also easy to dispel the myths. There is a degree of market saturation, due to the fact that they are so well-established in so many different countries. 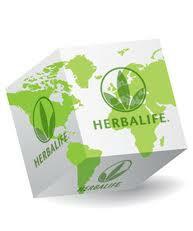 It is a known fact that Herbalife experiences a high distributor turnover. However, this is not because their system doesn’t work, but rather because so many people who don’t understand it want to give it a try, simply because Herbalife is one of the biggest names in this type of marketing. The reality is that direct selling is not for everybody. As such, this is not criticism of the company, but rather of people who think it is a way to earn easy money. Herbalife is not a way to get rich quick. However, it is a very viable opportunity that allows people to earn a very decent income, so long as they are happy and willing to put in a lot of hard work. Extensive training is provided, and the compensation plan is very interesting. Due to their registration with the DSA, it is guaranteed that Herbalife is a true business model, and not a pyramid scheme. Although there is some degree of market saturation, the opportunity continues to be viable. As such, I fully recommend Herbalife as a work from home business opportunity.